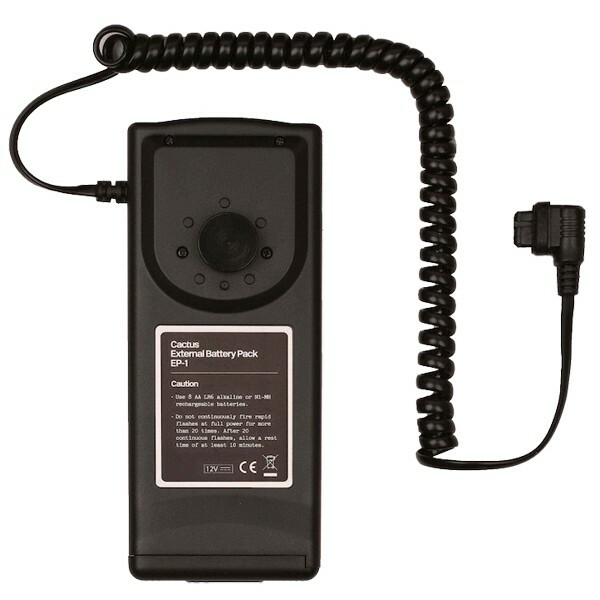 Cactus EP-1 battery pack is designed to power Cactus Wireless Flash RF60. With eight (8) AA batteries, it shortens the recycle time to approximately 2 seconds at maximum power and supports more number of flashes per charge. Cactus EP-1 also works with Canon 600EX-RT, 580EX II, 580EX and other flash models that come with the same external power socket.